In the fourth and final year of the course, students are provided with the opportunity to broaden their skills on an intellectual, creative and practical level. 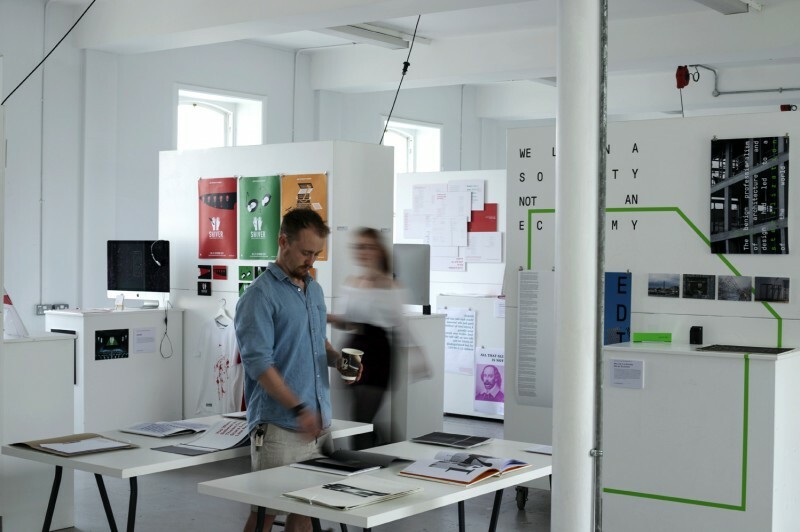 To this end, final-year students are asked to create their own end-of-year (or graduate show) project which expresses their own personal interests as designers. Since 2010, a title or theme has been specified annually in order to give the graduate show more focus. For 2018 the final year show from Graphic Design Communication is a conceptual response to the word ‘Rebel’. Students have researched broadly and personally engaged with the project, pursuing lines of enquiry into social, political cultural and contemporary issues through print and screen media. From the traditional advertising campaign to the celebration of swearing, this years students explored a broad range of subject matter including data encryption, narcissism, the decline of urban public space, a good food guide, the environmental impact of synthetic fibres, vegetarianism, heresy, the health benefits of playing music, and many more.